When we met in the coffee shop in the middle of winter, and I just knew Jen would make a beautiful bride! Her bubbly and sweet personality is genuine, which was made apparent by all the wedding guests young and old who adore Jen! It was easy to see why she and David made a good match. 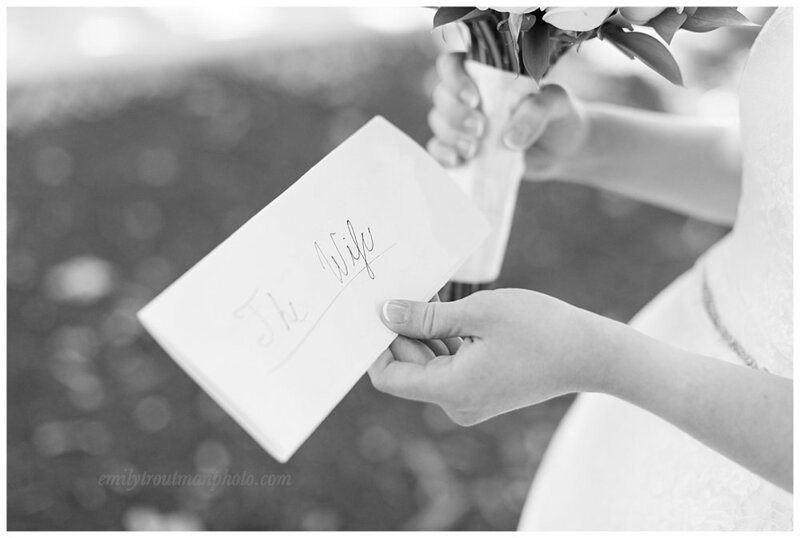 I loved hearing their plans for a small wedding party with a simple, sweet church reception. We had no idea when we discussed their July wedding, that we would wake up to such a gorgeous day of weather after a heat wave! We were all so thankful for the mild weather, allowing us to capture outdoor portraits without feeling entirely melted. Here's just a small selection for you to enjoy from their wedding day!